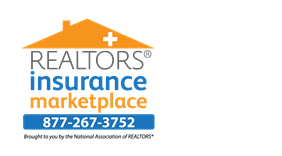 REALTORS® Insurance Marketplace allows NAR members to shop, compare, and enroll for insurance online. Our health insurance options include major medical and supplementary insurance plans and products. Curious how the Marketplace works? Check out the video! Based on state availability and the demographic information that you provide, you will be provided with a list of all of the insurance options available to you. NAR members have access to a private (members only) health insurance exchange which provides a robust selection of ACA-compliant individual major medical health insurance plans from nationally recognized insurance carriers. Personal assistance is also available for those needing guidance in navigating the public/government exchanges. Plans are guaranteed issue and meet the standards of a Qualified Health Plan (QHP), as required by the Affordable Care Act. Accident Deductible Protection is coverage to help pay for out-of-pocket medical expenses incurred through an accident. It’s designed to supplement major medical insurance plans that have high out-of-pocket costs and is available to NAR members aged 18-64. Temporary Health Insurance (AKA Short Term Medical Insurance) is designed to be an affordable medical policy which can last from 30 days to 6 months. These plans are great for those who are without coverage and are waiting until the next Open Enrollment Period to enroll in a Qualified Health Plan. Members Telehealth provides access to a network of U.S. Board Certified physicians who can prescribe or refill prescriptions, by telephone, smartphone app, web chat, and/or email. Telehealth is a convenient way to address non-emergency medical issues with unlimited visits and no co-pay. Members Telehealth plans are through MDLive, a leading provider of telehealth services. Many health insurance plans, including QHP’s, have high deductibles, coinsurance, and/or co-pays. Supplemental insurance is additional insurance that you can purchase to help you pay for services and out-of-pocket expenses that your regular insurance does not cover. Combining a supplemental insurance plan like REALTORS® Core Health Insurance with a high-deductible major medical insurance plan can help lower your monthly insurance costs.